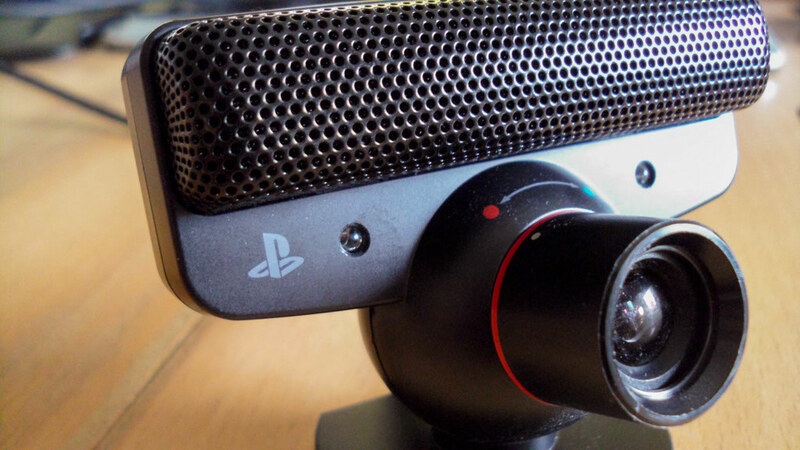 Sony PS Eye camera is an accessory for PlayStation 3 gaming platform, that enables gesture based gaming and also video chatting. However, hardware hackers managed to crack it and make it work on PCs. Due to its capability as a camera and low cost (around 30$), the camera has become a popular tool for augmented reality, multi-touch and gesture recognition applications and projects. 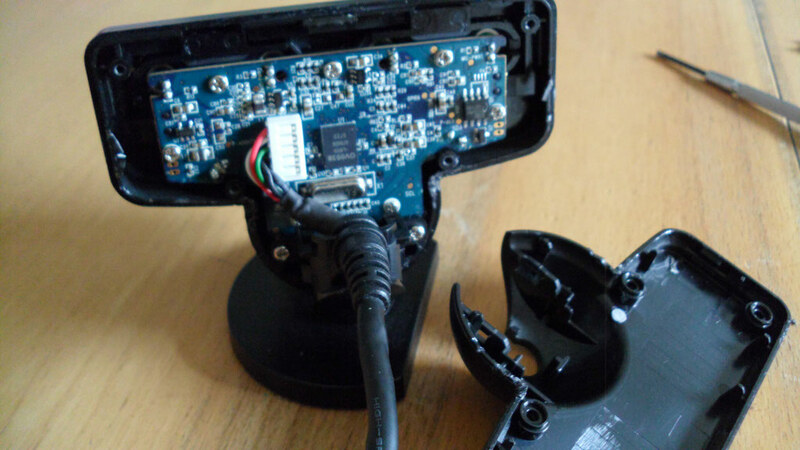 Sony PS3 Eye Camera, before disassembly. Because the camera performs well in variable lighting, has stable USB performance, and is capable of high framerates. 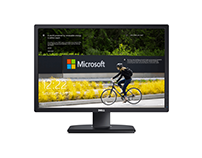 With its resolution of 640x480 pixels (@60 Hz) or 320x240 pixels (@120 Hz), it gives a solid performance. 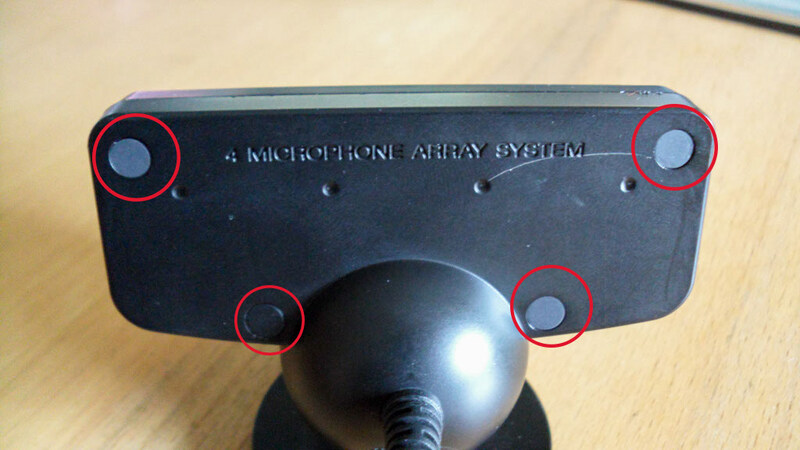 Sony PS3 Eye Camera close-up. 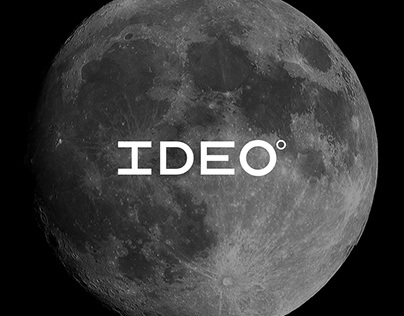 Because, even where there is not enough light, infrared light can still provide tracking information. 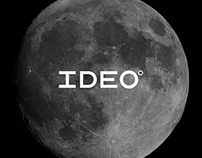 With the help of IR light sources, you have a great accuracy in terms of tracking. 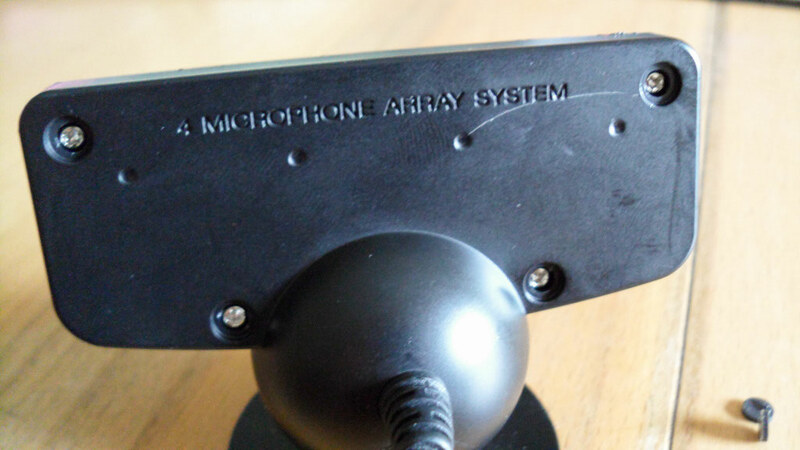 You can also easily track IR emitters or markers using this method. As you can see in the picture, there are 4 screws that covered by small grey covers. Remove the covers with the help of flat screwdriver or hobby knife. Now you need to use some brute force in order to open the case. 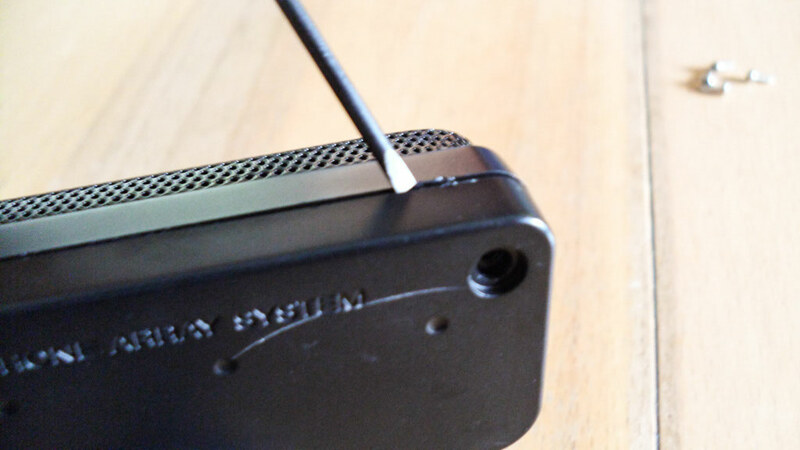 You can use a small flat screwdriver, move it after inserting slightly into the body. Be careful not to damage the board of the device and of course, your fingers. The bottom part removal requires even more power and a little patience. Slide the screwdriver down after inserting between the space and move it forward and backward. Done. Now you have the access. 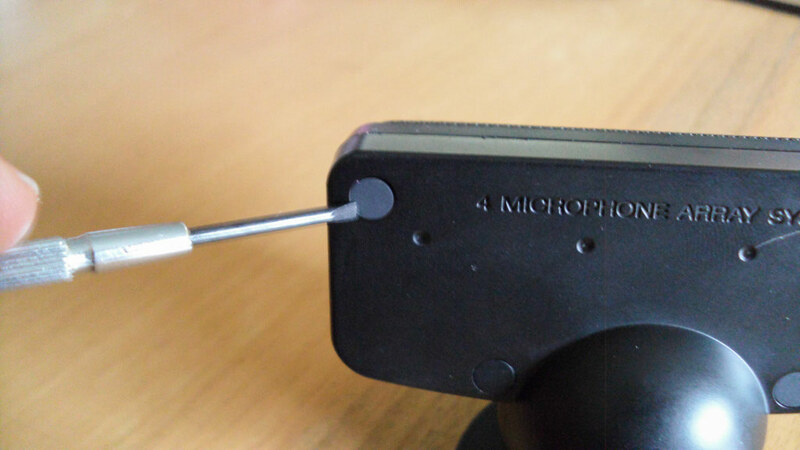 Unscrew the two screws on the bottom to remove the mount of the camera. This also enables you to remove the board. Open five screws shown in the picture. The two scres on the bottom is for the next stage. Now you have the board, freed from the bulky case. 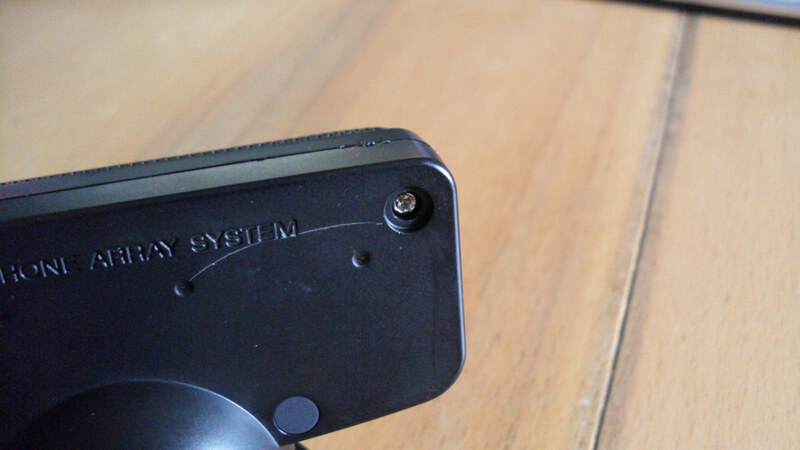 Unscrew the two smaller screws to detach the camera lens mount. Lens mount detached and now you can see the image processor. 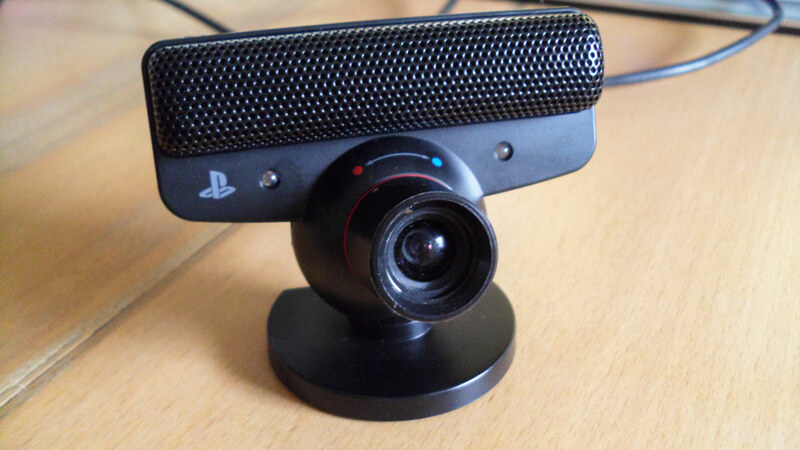 Like most webcams, the Eye camera normally detects visible light and blocks IR light. With some patience and care, you can remove the IR Blocking Filter. The filter is attached to the lens with some industrial glue, so you need to carve the edges of the lens with X-Acto knife or small flathead screwdriver. In this process, be patient and carve around the lens until the edges are seen, so you can pop it up. Now, you need a visible light blocking filter. Old floppy disks might still become handy. Open a disk case and remove the magnetic tape inside. Now, cut out a piece that can fit into the lens mount. Do not just cover the lens, make it fit into the hole. Hacking completed. 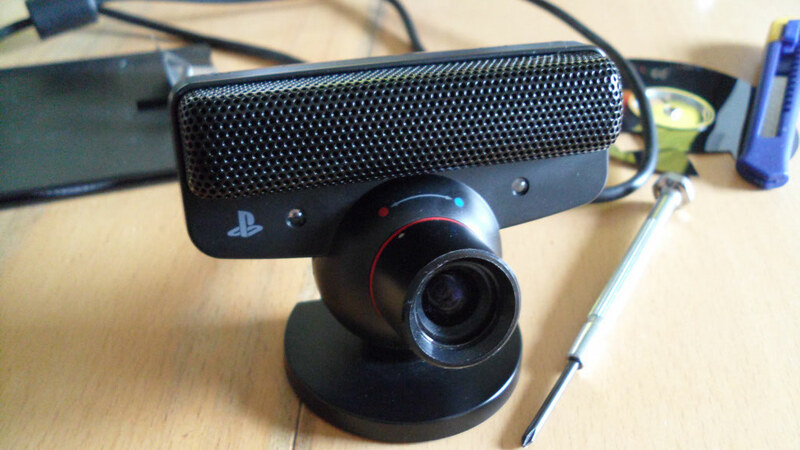 Now you have a PS3 Eye camera that can see invisible, Infrared light. 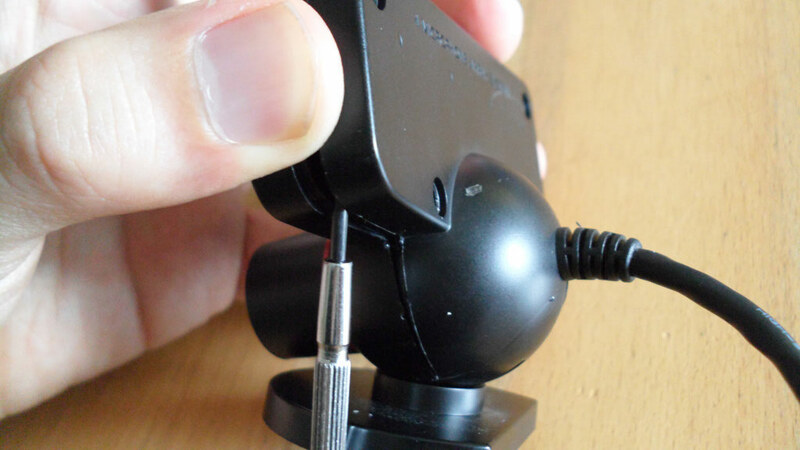 You can re-assemble the case or use the camera as it is (depending on your use). After installing the driver, connect the USB plug to your computer. You can use the "CL-Eye Test" Shortcut that is automatically placed on your Desktop after the installation. If you want to test the tracking capability, use CCV (Community Core Vision) app from Natural User Interface Group (http://nuigroup.org). I tried the app with ready settings, just to have an idea of how it works.